Product prices and availability are accurate as of 2019-04-19 11:05:09 EDT and are subject to change. Any price and availability information displayed on http://www.amazon.com/ at the time of purchase will apply to the purchase of this product. 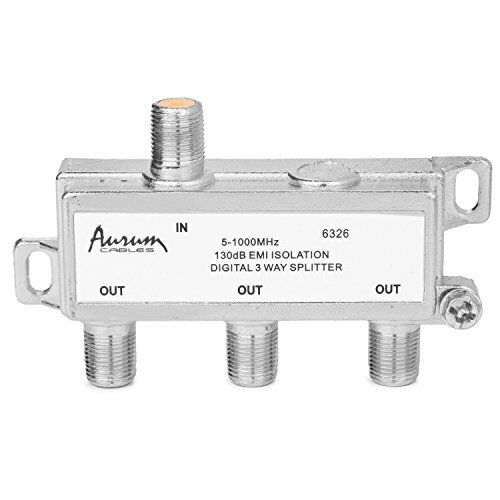 This Aurum Cables 3-pack Digital Coax is a 3 way splitter providing High Performance of 5-1000 MHz and is designed to split a single input Coaxial Cable signal into multiple separate signals, ideal for those who have the need for additional outputs into multiple displays from one source like cable television (CATV), VCR, DVD, HD-TV, Satellite receiver, cable box, or antenna into multiple outgoing signals,and all other home theater audio/video equipment. 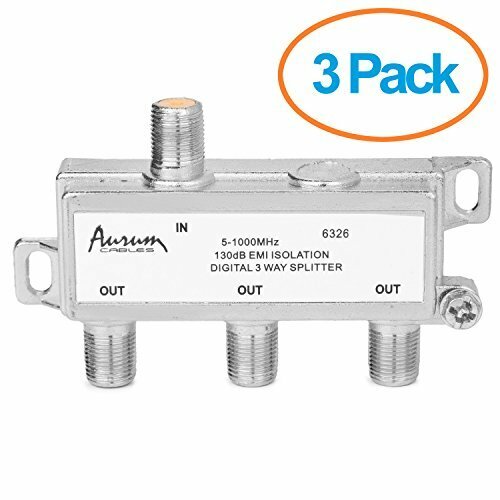 Convenient 3-pack 3 way Digital Coax cable splitter providing spare units for replacement usage or the use for multiple devices. 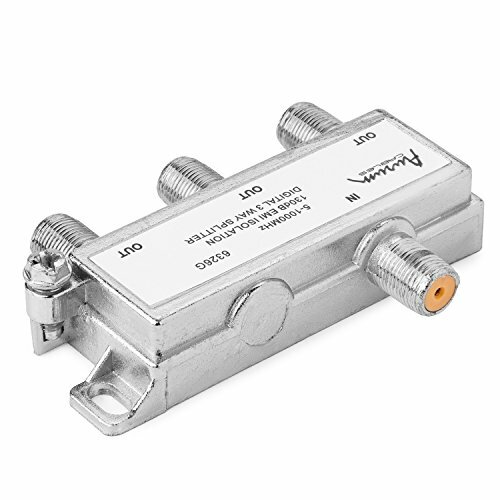 2 way F-type coaxial digital splitter of 5-1000 MHz Bandwidth, and Compatible with all Cable TV services. Allows 2 units to be operated from one source. 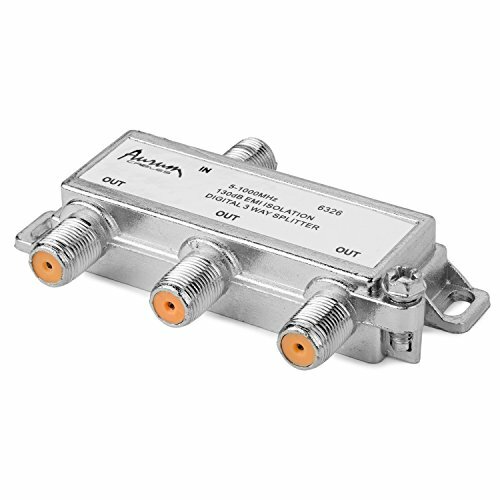 5-1000 MHz/EMI - 130dB -- 6Kv Surge protection Gold plated to ensure long lasting, duribilty and corrosion free connection.